This series was amazing! It starts off a little slow, somewhat resembling the standard ‘super-person’ comic ( this was nearly enough to make me quit it halfway through the first volume), but makes up for it with a literally mind-warping journey of the consiousness, soul, and spirit realm(s). If you’re interested in the Tarot, Kaballah, Alleister Crowley, synchronisities, and how to manifest your reality, then this series is for you! It pretty much reads as a beautifully trippy illustrated guide to the above! 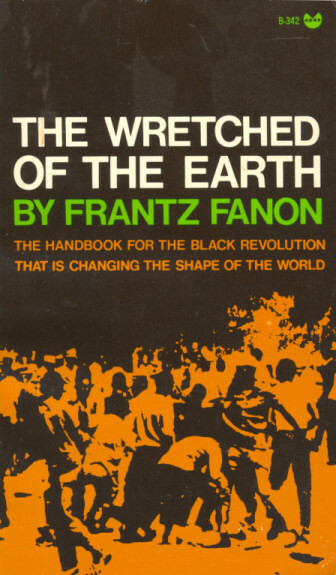 Frantz Fanon left a mark on our world with this one. Psychiatry be damned, this doctor had ideas, and he had the where with all to say 'screw the system', something here seems wrong, and Algeria is my passion. Or some such histoire, non? Either way, worth a read any time of the eon. RIP Stuart Hall, and long live la revolucion. Definitely a catchy title! This is another "half star" book-as in "three and a half stars". Lots of "good" (i.e. horrific) stuff here. Trying to give a larger overview leads to a lack of focus- by far the most moving parts of this are Chris Hedges own experiences,thoughts and emotions- this book would be so much more effective if it were even more personal/autobiographical. 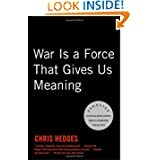 I know from other reading what a fan Hedges is of a classically "humanist" education-but to properly analyze war throughout the ages requires science as well (sorry, but the various Shakespeare quotes did absolutely nothing for me-especially when juxtaposed with real and recent events). "A bit lumpy" (as I can imagine one of The Pythons saying)-as in, there's a great big lump of all one thing, followed eventually by a great big lump of something else. But it does seem to be pretty honest. If you're a much bigger Monty Python fan than me (meaning seriously fanatical) you might want to give this 4 stars. If you don't like Monty Python, you'd probably give it 2. 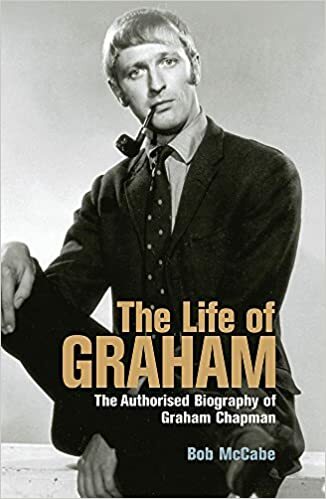 In the Author's Note at the beginning of the book, Humphrey Carpenter mentions that the first published biography of a subject is not necessarily the best place to make literary judgements- fair enough. He also avoids spending much time analyzing or criticizing the whole phenomena that LOTR has become (in 1977 this was already huge, but had hardly reached it's peak-both in terms of popularity and in over-all cultural influence). 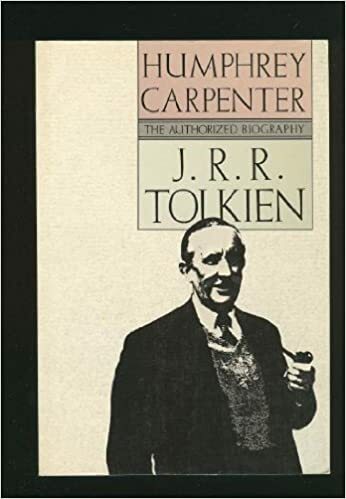 Respectful and well researched, this is a "must read" for Tolkien fans and/or those simply curious about J.R.R. Reading "Frank" regularly keeps me regular. So yeah, as Alex said, this story is not focused on Buddha himself; Siddhartha isn't even born until the very end of the story. BUT, there's a reason for that, and it makes itself apparent as you read through the series. Yes, this series is a dramatized biography of Siddhartha, but it's also very (fictitious and real-life) character driven way that takes time to pay off; it's not JUST about the Buddha, it's about the people the Buddha loves too. Tatta is the his first disciple, and this is the story of his painful and traumatic childhood. It takes the whole series to come around and become fully relevant, but it does! Slow pacing on this story, but I promise it's worth it and if you keep reading, you'll learn how everyone's fate is entangled. Tezuka is brilliant. This book changed my life in the most profound of ways. 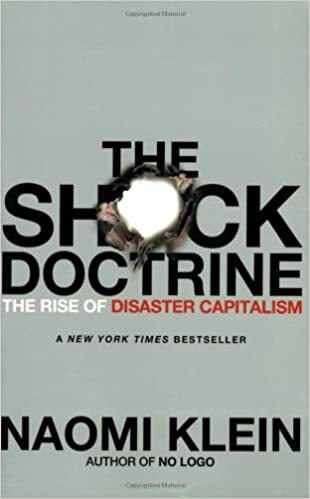 After finishing a degree in environmental science and becoming increasingly disenchanted with the seeming futility of “environmental activism,” I found the insights of this story incredibly timely and relevant. It’s told in the form of a Socratic dialogue between a telepathic gorilla (just get past that) and a cynical, but well-intentioned, man who discuss the hubris of human dominance, and how the stories we tell about our superiority are destroying ourselves and the biosphere we depend upon. 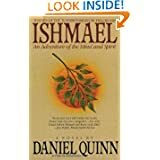 Daniel Quinn could be regarded as more of a philosopher than a fiction writer (though he has a few non-fiction books ‘Providence’ and ‘Beyond Cicilization’ which detail his journey and more succinctly lay down his core beliefs). While none of his writings will give you plain, easy answers to our problems of civilization (I wouldn’t trust him if he did), it does provide one with the tools and foundation of thought to create something that works for us wherever and however we might live. 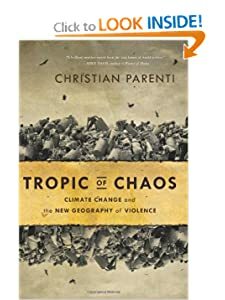 If you have never read about post-civilization theory, but have thought about the seeming hopelessness of saving the biosphere that we are (not so) slowly killing, then this book is for you. Two things about this book really stood out to me. The first, is that while this covers ground similar to many other authors (particularly American and male), and has so many influences (Thom Jones said he'd read at least 10,000 books-and I'd bet good money some of them were by Stephen Crane, Charles Bukowski, and Nelson Algren ) this book comes off as fresh and deeply personal. The second standout is while these stories may be bleak and/or violent, the overwhelming emotion I felt after reading them was compassion. 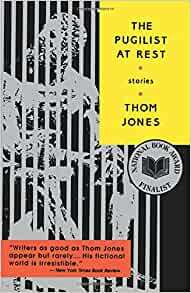 Jones's "outsider" sensibility permeates every story.There's also some humor. One of the stories ("The Wipeout") is kind of a sly homage to Nelson Algren (and his affair with Simone de Beauvoir). Jones died in 2016- RIP. A thoroughly researched, well written, thoroughly depressing book. I read this when it was so smokey outside even my dog didn't want to leave the apartment-which I'm sure influenced my view. It seems plain to me that the response of "our" oligarchy to this is to ramp up "defense spending" even more. Christian Parenti comes across here as a more careful, less ideologically driven writer than his father Michael-for better or worse. 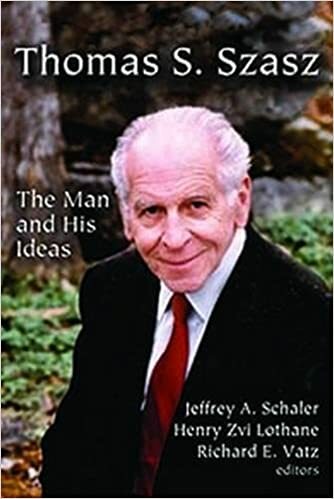 Not exactly easy reading (I think a change in the type and/or size of font would have helped) and not the most "efficient" (for want of a better word) way to learn about Szasz & his ideas. But there is gold here for those who can dig it out. And also, this book was/is a labor of love on the part of the authors. I especially liked chapter 5 "What Follows from the Nonexistence of Mental Illness?" Changing the wording from "Mental Illness" to "Problems with Living" was, for me, much more than a matter of semantics- it completely changes a label ("Mental Illness") seemingly designed to stop further thought/inquiry (much like the term "homeless") into something which tends to compel further (and original) thinking. Even if this book were somehow NOT about Kristin Hersh and the Throwing Muses, it would still be good. This is skillfully written, enjoyable, surprisingly(? )fun and yes, it really goes into detail about the music/songs. If you're a Throwing Muses fan this book is especially for you. This book had me from the very beginning (aka "Trickster Coyote and his mythical meth lab"). Weirdly (? 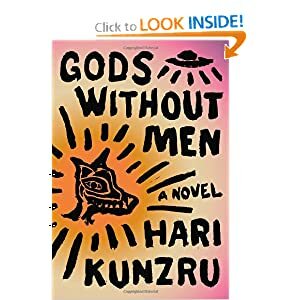 )"Gods Without Men" somehow reminded me of "Look Homeward Angel' -even though it's a completely different sort of book. Perhaps because I had to stop reading every so often because it was sooo good. Often I find myself wanting to give "half star" ratings-for example, a three and one half star rating for "In The Night Garden". Having so many stories within stories within stories creates "logistical" problems for the reader-for example: Is it better to read the entire book straight through? or in little bits and pieces? Having more illustrations-especially in color-would elevate this to a solid 4 star. I thought this was unusual, strange, distinctive and very good. The whole was definitely more than the sum of all the parts. Marin Duberman is a Great Historian. He manages to put everything in context while preserving much of the "real life" messiness. And it is all grounded and highlighted by his belief in Individuality (in the best sense!) and the importance of day-to -day life. 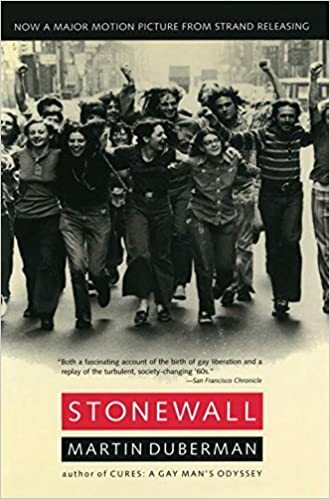 Even people who don't identify as "Gay" - or "don't like history" will probably like this book. I literally read this book to pieces (it was already on the verge of falling apart). 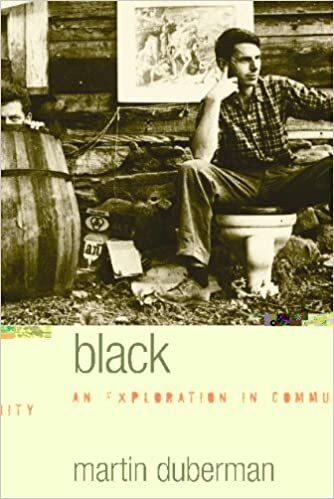 Since the 1970's I have been hearing about Black Mountain- in (at least) 3 very different circles (Academia, Art and Intentional Communities)-usually with a note of awe in the speaker's voice. 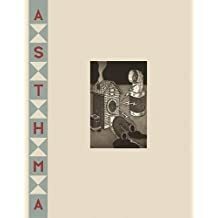 Martin Duberman wrote this early in his career-which is why I give it 4 stars rather than 5- he was still "getting started"-that, and the physical condition of the book was wretched. Hopefully alt.lib will get a new (hardbacked?) copy soon. This is "Secret" in the sense of "Unknown" rather than "Concealed". 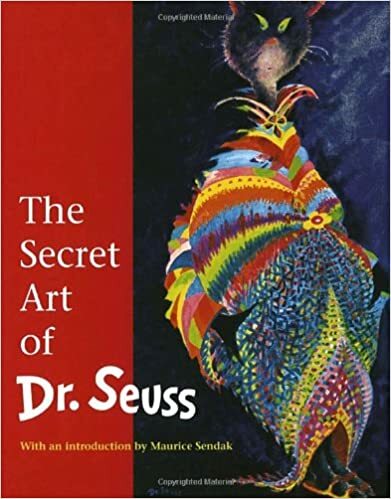 Most is not that different than Theodore Geisel's (aka Dr. Seuss's) more familiar illustrations- although more abstract. My only beef is that most of the paintings- which were usually not very large to begin with- have been further reduced in size to the point of losing much of their impact (If the original was 12"x17.75"-the reproduction needs to be bigger than approx. 6"x4" - even if that means fold outs or having to turn the book sideways for viewing). Fans of Dr. Seuss and /or "cat people" will surely like this book .